In a press conference in Washington DC on Tuesday, June 20, 2017, the US representative office of the National Council of Resistance of Iran revealed that on orders of Ali Khamenei, the Iran’s supreme leader, Tehran has accelerated its missile activities and tests After the Iran Nuclear Deal, known as the Joint Comprehensive Plan of Action of JCPOA. 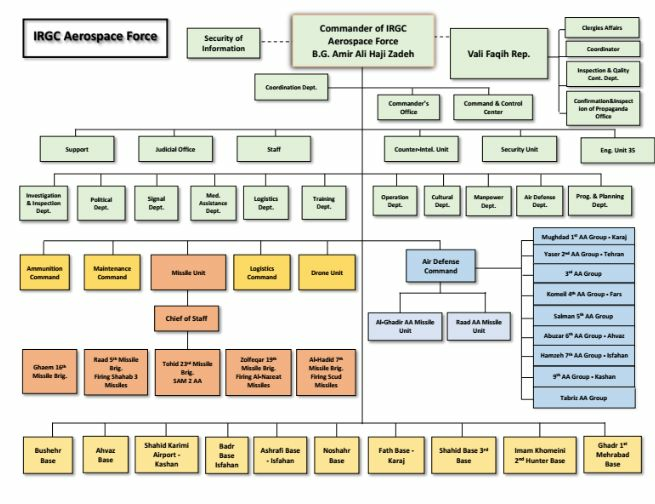 Based on detailed intelligence obtained from inside the clerical establishment in Iran, specifically reports obtained from inside the Defense Ministry and the Islamic Revolutionary Guards Coprs (IRGC), by the People’s Mojahedin Organization of Iran (PMOI/MEK), Khamenei has tasked the IRGC’s Aerospace Force with executing this mandate. The Iranian opposition has been one of the main sources of exposing secret aspects of Iran’s nuclear activities as well as the clerical establishment’s Weapons of Mass Destruction program. The revelation coincides with rising sensitivity and concern regarding Iran’s missile program. The US Senate imposed wide ranging new sanctions on Iran, partly for continuing and expanding its ballistic missile program last week. 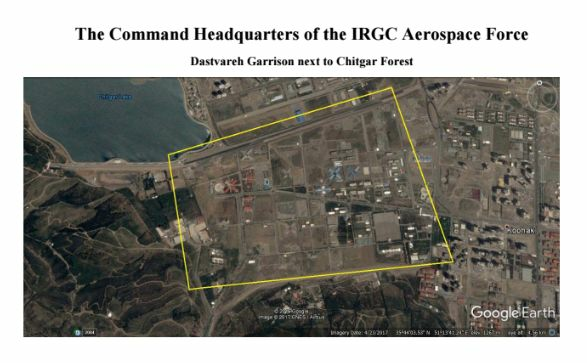 “The IRGC’s Aerospace Force is responsible for the regime’s missiles program and the scope of the program is much more extensive than what it was previously perceived,” said NCRI-US Deputy Director Alireza Jafarzadeh. The Iranian opposition verified the locations of 42 centers involved in the production, testing and launching of missiles by the IRGC. A dozen of these sites were revealed for the very first time. Among the 42 sites, 15 are part of the regime’s missile manufacturing network. 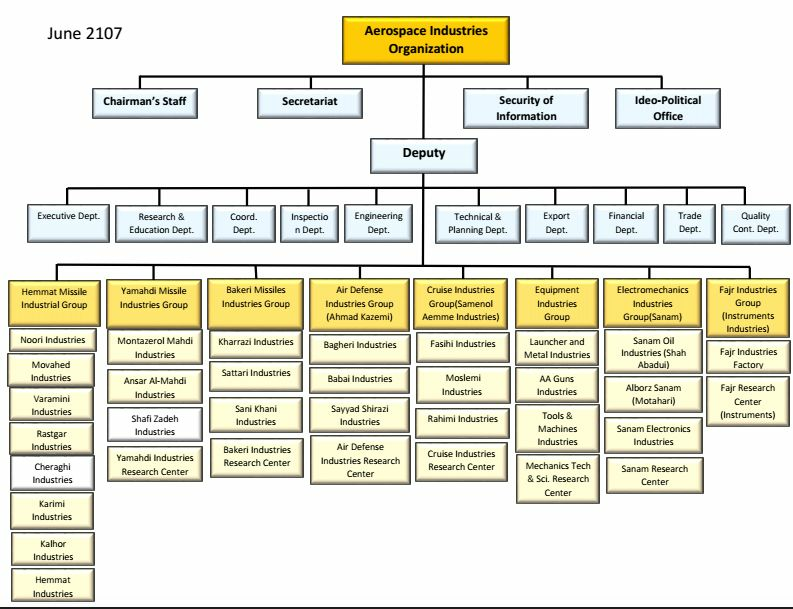 These 15 centers include several factories related to a missile industry group and together form a web of dozens of missile production facilities. 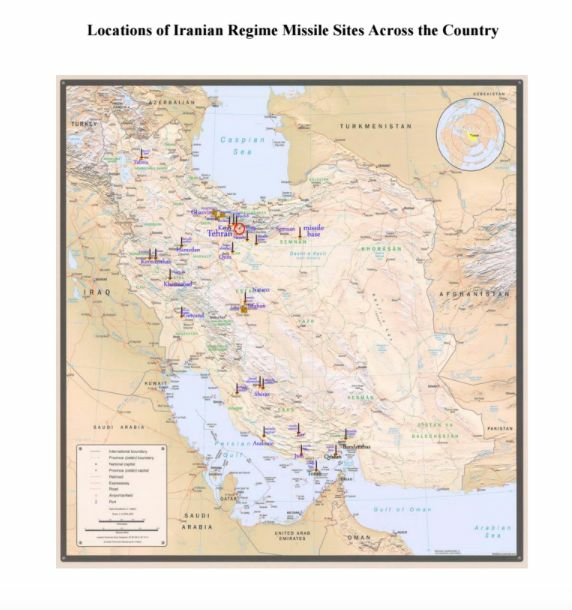 The MEK identified four of the most important missile centers of Iran in Semnan, Lar (in Fars Province), Khorramabad, and in the vicinity of Bidgeneh Village near Karaj city. 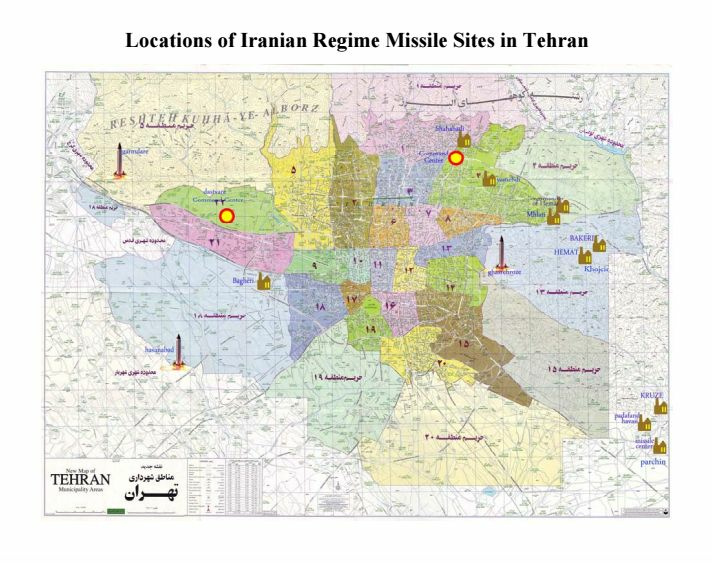 Two of these centers are among the facilities that the ruling clerics of Iran describe as missile cities. 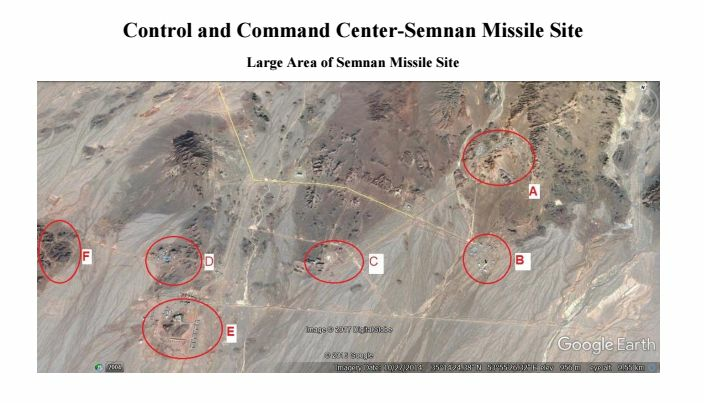 According to the MEK revelation, the missile center in Semnan, has been actively collaborating with SPND, the organization tasked with building a nuclear bomb. Some of the tests related to SPND organization are conducted at this site. SPND is the Persian acronym of the engineering unit for nuclear weapons program inside the Iranian government, called the Organization of Defensive Innovation and Research. The National Council of Resistance of Iran first revealed the existence of SPND in July 2011 in Washington, DC. Three years later, SPND was placed in the sanctions list. The IRGC’s missile sites have been created based on North Korean models and blueprints. North Korean experts have helped IRGC leaders to build. Jafarzadeh stressed that the Iranian regime has remained in power in Iran by relying on two pillars: internal repression and external export of Islamic fundamentalism and terrorism; Its illicit nuclear weapons program and its continued expansion of ballistic missiles serve its policy of export of Islamic fundamentalism and terrorism. Iranian leaders are united in investing in the ballistic missile program because all the factions realize the survival of their political establishment is at stake. On May 23, 2017, president Hassan Rouhani emphasized that the missile activities will continue unabated. Jafarzadeh noted that the Iranian people, on the other hand, deeply oppose the regime’s nuclear and missile programs and its interference in the region. He also referred to the major gathering of Iranians in Paris on July 1, during which Iranians and their international supporters including hundreds of luminaries from the world over, will declare their unequivocal opposition to the policies of export of Islamic fundamentalism and terrorism and the ruling cleric’s expansionist interventions in the region, and to its nuclear and missile programs. “The July 1, #FreeIran rally is a referendum against the religious fascism ruling Iran and its warmongering policies in the region, as well as against its nuclear and missile programs.” Jafarzadej said. 1. The enactment and enforcement of effective and broad sanctions against Iran’s missile program and all related entities, institutions, and individuals. 2. Designation of the IRGC as a Foreign Terrorist Organization (FTO) for its role as the force responsible for terrorism as well as the missile program. 3. Expulsion of the IRGC and its affiliated militias and proxies from the region, particularly from Syria and Iraq.